VoIP Systems has developed a wide range of NBN products and services to make the transition to the NBN easy and cost effective. All our new phone systems are NBN ready with great business features and reliability, but we also have NBN gateways this products will allow small businesses to retail their existing digital phone system that is familiar to them. When you take the VoIP gateway option you will retail all your existing features including line hunt & Caller ID. Most small businesses have already spent a huge amount on a digital phone system and are happy with it, no need to upgrade to a new VoIP system simply connect a low cost VoIP gateway to your existing system and connect to the new NBN network at a fraction of the cost to upgrade, starting cost is $299. The NBN is rolling out all over Australia one of the biggest infrastructure projects Australia has seen for many years, the NBN is a much need technology for the growth of Australia. We will be able to do things faster and more reliably which will benefit our country into the future. 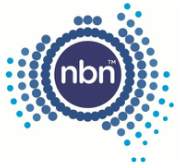 My Business Voice can help with the installation and set up of a NBN ready phone system. You can also retail your existing digital telephone system on the NBN network with a NBN gateway which My Business Voice can supply and install. Are you ready for the NBN? As the NBN is rolling out across Australia , small businesses are considering moving their phone system and communication requirements to VoIP but are they ready for the move? What do you need to do to be ready to implement a NBN ready phone system? It is worth doing the homework before researching providers, you will then understand the language, terminology and implications of switching. If the NBN has already reached you then your internet connection will be robust enough to handle a VoIP solution. If you are still waiting, you need to ensure you will have adequate speed for both upload and download, it is possible to do this test yourself online. One test site is the Department of Communications My Broad band site. You can give the results to a provider for them to assess. If the speed test is adequate you also need to consider future growth and whether what you have is capable of expansion. 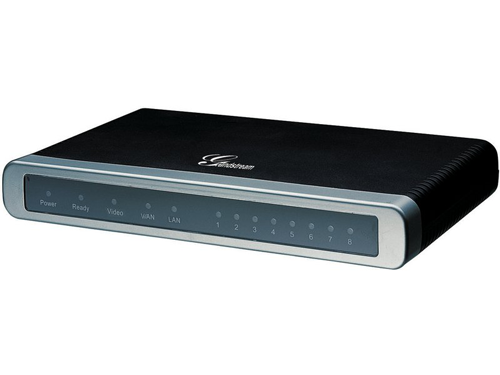 The business probably already has internet connectivity and existing equipment but you need to know if your router and your network in general is compatible, so a provider will need to know make and model, as well as the number of phones you currently have and how many you want to have for your hosted environment. A provider will also need to know what functionality you want in the hosted environment. Battery power as a backup is a good idea, particularly if the area you operate in is prone to power outages, a UPS (Uninterruptible Power Supply) is advisable. The firewall you have will also have an impact on the switch to a NBN Phone system, so you need to know whether it is set up to allow the appropriate traffic to pass through. Your provider will be able to guide you on this. This also relates to whether you have servers in house which need to be accessed from outside, so all the information you can provide about your local area network and your wider network requirements, the better. If your business uses fax machines, these need to be factored into the VoIP setup, so you need to ensure a provider is able to handle this requirement all that is needed is a T38 ATA unit. The existing infrastructure as a whole needs to be assessed for its suitability with a VoIP system setup. Even if infrastructure needs to be replaced it should not have as great an impact as implementing a new in house VoIP PBX. A reliable, experienced provider will ask you about all of the above and more, so do your research, gather your information and think about what you want to achieve. Our VoiP and Hosted PBX services are dedicated for business customers only. We only sell the best business grade products We stand out from the rest because we have built a quality VoIP network for just business. Contact us to start a free trial or take a tour of our VoIP Telephone Systems.